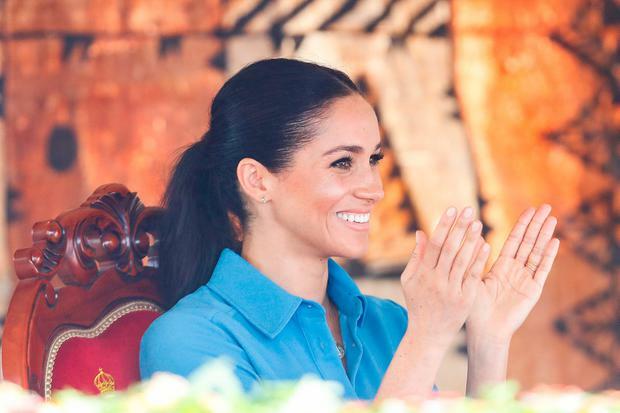 Former US first lady Michelle Obama has issued some sage words of wisdom for Meghan Markle as she adjusts to her new role as one of the most well known women in the world. Mrs Obama served as first lady for eight years and recognises that she is uniquely positioned to give Britain's new Duchess of Sussex advice as she was thrust into the international spotlight in 2009 when husband Barack Obama was elected US president, and knows how to handle public scrutiny with grace. As Meghan is coming under fire from a number of palace sources, who have been unwavering in their off the record criticism of her, the mother-of-two urged her to take a step back and familiarise herself with her new role as much as possible. "Like me, Meghan probably never dreamt that she’d have a life like this, and the pressure you feel, from yourself and from others, can sometimes feel like a lot," she tells the new issue of Good Housekeeping. "So my biggest pieces of advice would be to take some time and be in a hurry to do anything. I spent the first few months in the White House mainly worrying about my daughters, making sure they were off to a good start at school and making new friends before I launched into any more ambitious work. I think it’s okay - it’s good, even - to do that. "What I’d say is that there’s so much opportunity to do good with a platform like that and I think Meghan can maximise her impact for others, as well her own happiness, if she’s doing something that resonates with her personally." The Obamas were invited to Meghan's May wedding to Prince Harry, but declined the initiation as it's believed they chose not to cause a potential bother with US president Donald Trump, who was not invited. They have a famously strong relationship with the British royal family, including Queen Elizabeth and Prince William and wife Kate Middleton - not to mention Prince George. 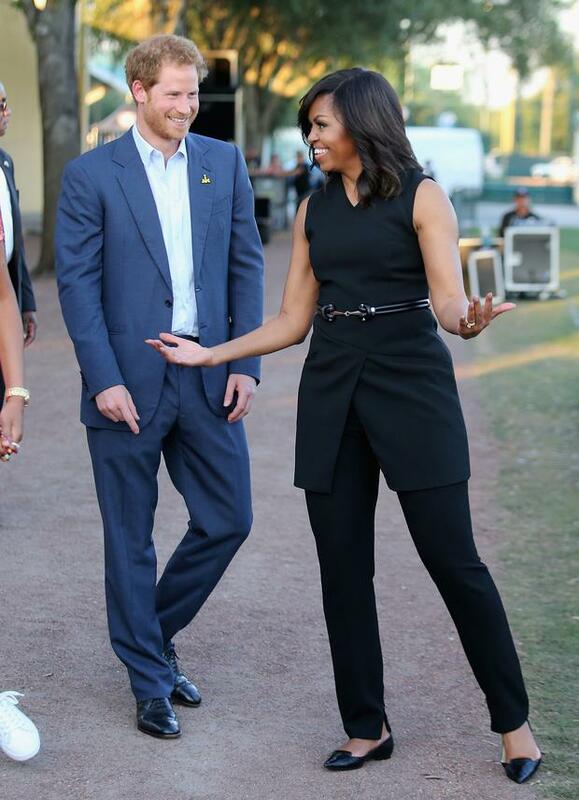 But it was her protocol-breaking hug with the monarch that still fascinates royal watchers years later, which Obama addressed in her new memoirs Becoming, revealing they bonded over the pain of high heels. "I confessed then to the Queen that my feet were hurting. She confessed that hers hurt, too. We looked at each other then with identical expressions, like, When is all this standing around with world leaders going to finally wrap up? And with this, she busted out with a fully charming laugh," she wrote. "Forget that she sometimes wore a diamond crown and that I’d flown to London on the presidential jet; we were just two tired ladies oppressed by our shoes." Meanwhile, it's reported that Meghan and Harry will spend Christmas at Sandringham Estate with the rest of the royals - and Meghan's mother Doria Ragland - amid consistent reports of "tension" between the brothers and their wives. The news cycle in recent weeks has been dominated by speculation about the foursome's personal relationship, in particular, how Meghan is shaking things up. A source told Vanity Fair the expectant mother is doing her best to avoid the barrage of negative coverage, in contrast to her husband, who follows press coverage about him - good and bad. "Meghan is a believer in karma and she doesn’t want to sit there reading negative online stories and comments about herself," an insider told the magazine. "She feels to a degree the British press is out to get her and while she’s aware of the news and what’s going on, she tries her best not to read all the stories about her."